Having a dreamy night’s sleep is literally the goal of every night when your head hits the pillow, am I right? There are many factors that stop us from having the epitome of a good night’s sleep and Tisserand are here to lend a hand with Tisserand The Little Box of Sleep Kit. 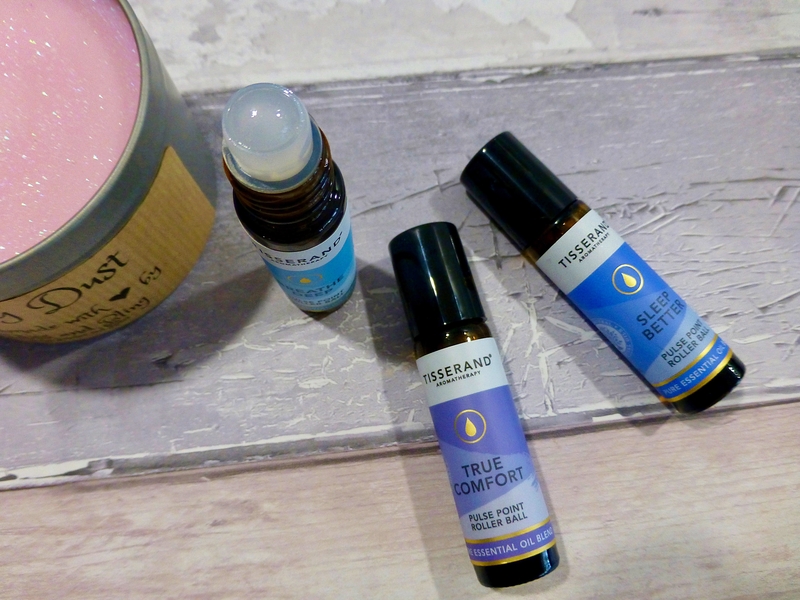 I am a huge fan of Tissarand for varying reasons, most importantly being that they are 100% natural and have the ability to subtly affect my mood and or instantly evoke a state of calm and relaxation. I have tried a few products of theirs as well as always choosing their oils when I go for a massage; and have always found there to be a benefit. Now if their little box of sleep can help me fall asleep and stay asleep then this may well be a little miracle product. This kit comes in at £11.95 and contains three pulse point roller balls, each made using 100% natural pure essential oils and are suitable for vegans. They couldn’t be simpler to use, all you need to do is roll onto pulse points at the temples, neck and behind the ears, as well as the wrists if you want to. There is no real guidance on when best to use them or in what order, and I assume that they are to help you unwind before bedtime, and you can chop and change depending on the desired effect that you want. I have been using these religiously for the last two weeks to get a real sense of if I felt they would make a difference. Breathe Deep really didn’t do a lot for me and is the one that has been left a little neglected on the side. It doesn’t smell bad per say, it is heavy on the orange which when on my skin it didn’t suit at all, which didn’t make for a serene environment to go to sleep. True Comfort and Sleep Better are the ones I have utilised the most and seem to fit best in my bedtime routine. The combination of bergamot, cardamom & ylang ylang makes for a very fresh, vibrant and quite powerful heady combination which I loved. On the other hand Sleep Better has a softer side to it. Combining jasmine, sandalwood & lavender this is an ideal combination to send you off into slumberland and I really felt the difference with this one. I am not usually a fan of lavender but absolutely loved drifting off to sleep with the sweet and slightly perfumed aroma. For someone like me who loves to really smell something to get the full effect, the only drawback to the roller balls is this is lost unless you have it on your wrist (which I do), and this is why I like diffuser oils. Roller balls do however provide instant and on the go relief, and this is how I use the Tisserand De-Stress Roller Ball I have of theirs. Essential oils for me really do have a benefit and I find they fit nicely into my everyday routine. 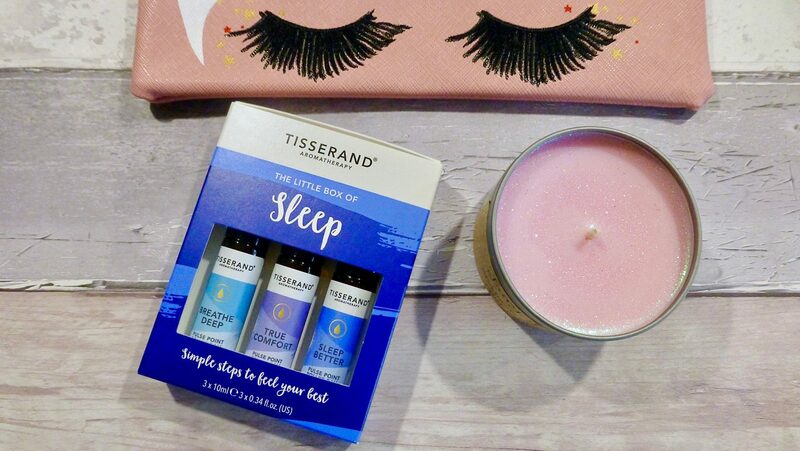 In the case of this Tisserand The Little Box of Sleep Kit it is a nice little selection and the latter two of the collection have really helped with my sleep routine, and is something that I am continuing to use. You may of course think that this is a load of nonsense with no real substance. However if you want a natural helping hand and a nudge in the right direction then you might want to give one or more of the Tisserand products a go. What are your thoughts on using aromatherapy oils? Do you have a favourite go to product? Let me know.